Assisted reproductive technologies can help intended parents overcome a wide variety of reproductive barriers. An understanding attorney can help guide and assist with surrogacy, egg donation, sperm donation and embryo donation. Film Production can be very a long and stressful process when trying to create an independent motion picture. 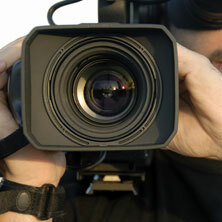 There are many steps to take when producing a film from forming a production company to film distribution. The aid of a successful Entertainment Law attorney along the way can be very valuable. Since becoming an attorney, Corlandos has focused his attention on entertainment law and assisted reproductive technologies. Contact him today! Attorney Corlandos Scott looks forward to working with you as you take the next step toward growing your family. At Pinnacle Law Firm, we help both emerging and seasoned producers in every stage of production by keeping track of legal details so that all other parties can focus on their own tasks, the creative and technical aspects of film production. Work with an experienced and dynamic lawyer in Los Angeles who will strive to protect your personal, financial, and professional interests. 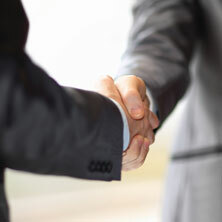 Contact Pinnacle Law Firm today to get started. Using a surrogate or donor, or deciding to become a surrogate or donor, can be an emotional but eminently fulfilling experience. However, it is important to remain mindful of the possible complications of such an arrangement in order to avoid negative emotional consequences. At Pinnacle Law Firm, we help new parents, donors, and surrogates become comfortable with the process of using assisted reproductive technologies by explaining each party’s role to play, their rights, and the options they have at each step of the way. Whether you are working with friends, family members, or those who were previously strangers, a compassionate and thorough legal representative can help move the process forward smoothly. Choosing to begin the process of surrogacy, egg, sperm, or embryo donation is a very personal decision. It can be difficult to imagine involving legal professionals in such an intimate part of your life and your future. For this reason, it is important to enlist the help of an attorney who you feel very comfortable interacting with and who has extensive experience in their field. In addition to reproductive law, we also work in the field of entertainment law, advising clients in a whole host of different matters related to the formation, administration, and management of a film production enterprise. Pinnacle Law Firm can help construct a healthy legal framework for your creative endeavors so that you feel secure in moving forward with your projects without the fear of future litigation. There are many aspects of legal protection associated with film production that should be handled proactively, such as the formulation of multiple documents during pre-production. Let our experienced staff handle union agreements, writer collaboration agreements, contract and release forms, co-production and development agreements, and much more. ©Pinnacle Law Firm® - All rights reserved.